When asked if he celebrates Thanksgiving, a member of the fabled nation that taught the settlers how to survive New England’s brutal winter said, “For me, it [thanksgiving] a state of being, meaning that you use the creativity the Creator gave you. You use your talents. You find out what those are and you cultivate them and use them and that gives thanks in action.” In that spirit, I wanted to share a Thanksgiving blog and was surprised at what I learned along the way. For example, the feast we hear so much about was not as planned as we think. Historians agree that the settlers and Native Americans shared in celebration of the first successful corn harvest. What followed was not a planned feast, it was a four-day celebration filled with many meals shared on many a shared table. This; however, was not the first acknowledgement of Thanksgiving as a holiday. In 1789, Washington issued a Thanksgiving proclamation calling upon Americans to express gratitude for America’s independence and the ratification of the Constitution. John Adams and James Madison followed suit, each designating days of thanks during their terms. That wasn’t the end of the road for Thanksgiving, though. Realizing that Thanksgiving typically marked the beginning of the ‘holiday season,” FDR decided to move Thanksgiving to the third Thursday of November to spur retail sales during the Great Depression. He received so much opposition that he finally moved it back to the fourth Thursday. For this holiday that has seen such change over the years, one thing remains constant. Thanksgiving is a day when we reflect on the things that we are most thankful for. I, like my co-workers, are grateful to work for a company that consistently puts people first, be it clients or employees. We, as a company, are especially grateful for our clients. While our gratitude is not enshrined in this one day, it’s as good a day as any to tell you all that we appreciate you and the ability to be a part of your lives. 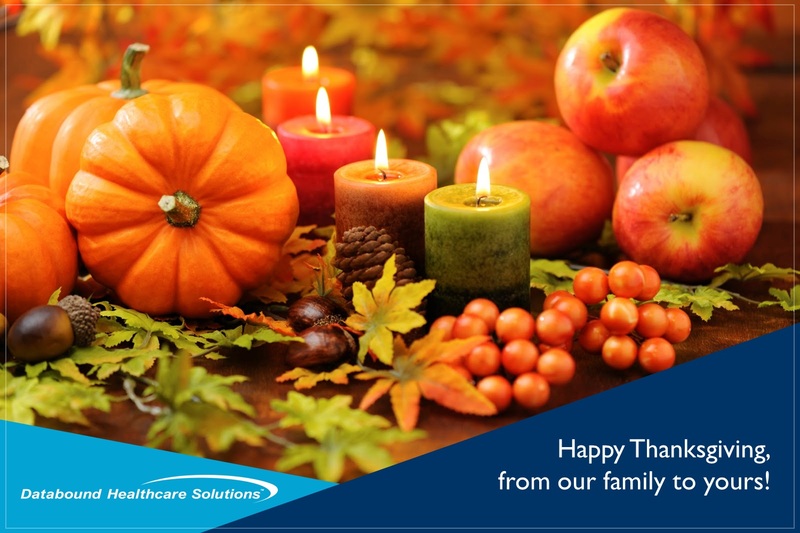 To all of our Databound family- clients, employees, and friends, Happy Thanksgiving! 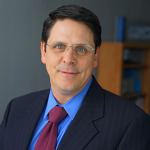 I’m the Relationship Manager with Databound Healthcare Solutions. In my role, I help people identify the technologies they can use to solve complex business issues or rise to new challenges and help them get the most from those solutions. I understand that working in the healthcare revenue cycle is challenging and the cost of failure is high. As such, I enjoy providing tools and guidance that makes success easier to achieve. Over the past three years, I’ve helped a handful of facilities implement insurance discovery and watched their reimbursement revenue grow by over $25,000,000 as a result. Learn how other hospitals use EMUE to save thousands of hours of employee time.